This is my sister's Christmas gift for this year. She has two dogs but has fallen in love with cats. Hopefully, she will like this wall hanging. I had no idea what to do for the border. Then, looking through my stash I found this fabric which had all the colors of the applique. Plus, the yellow brightened the piece. 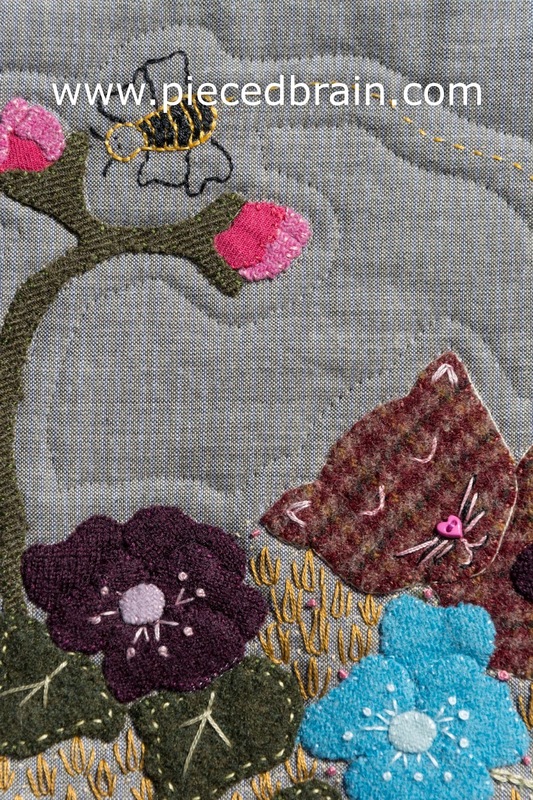 I had made the center block a little while ago, but revisited it by changing the color of the cat's facial features, adding borders and quilting it. I did quilt all around the wool applique to add depth. The simple echo quilting finished everything off. As you can see by my simple embroidery, I am no Sue Spargo... 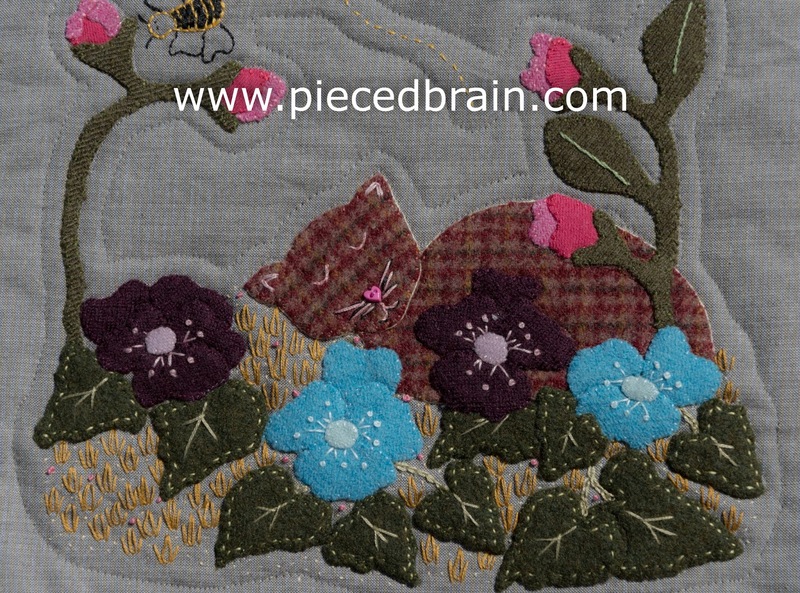 I do like to add embroidery to applique in general, and on wool applique in particular. The many textures enrich the design. The wool I used for the leaves is my favorite because it is very thick (felted from some clothing). I back stitched around each leaf but, due to its thickness, the stitches look different: I love it! 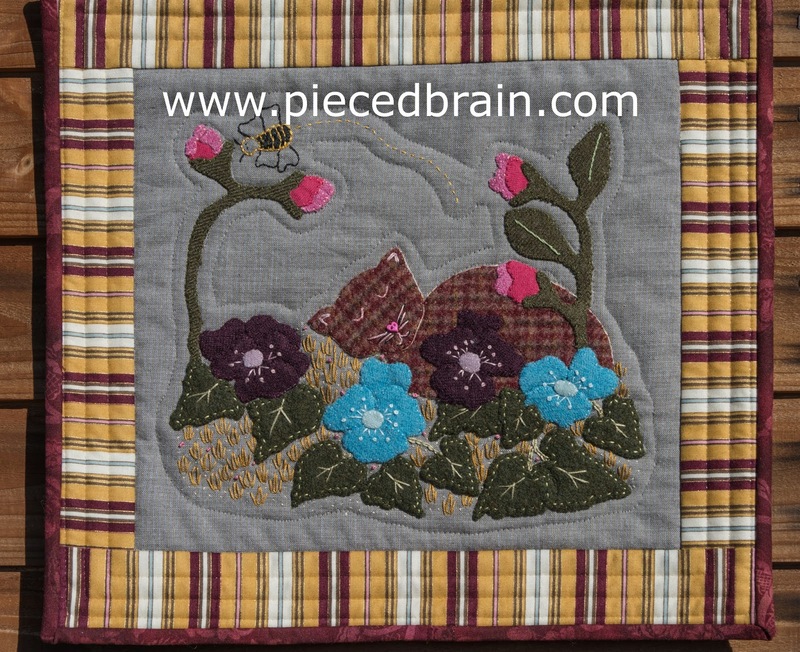 Wool applique is really fun, and I am quilting another wall hanging showcasing it. I am hoping to have it ready by tomorrow or Monday. I hope your Fall day is as beautiful as mine. Olá!!! !Que maravilha!! 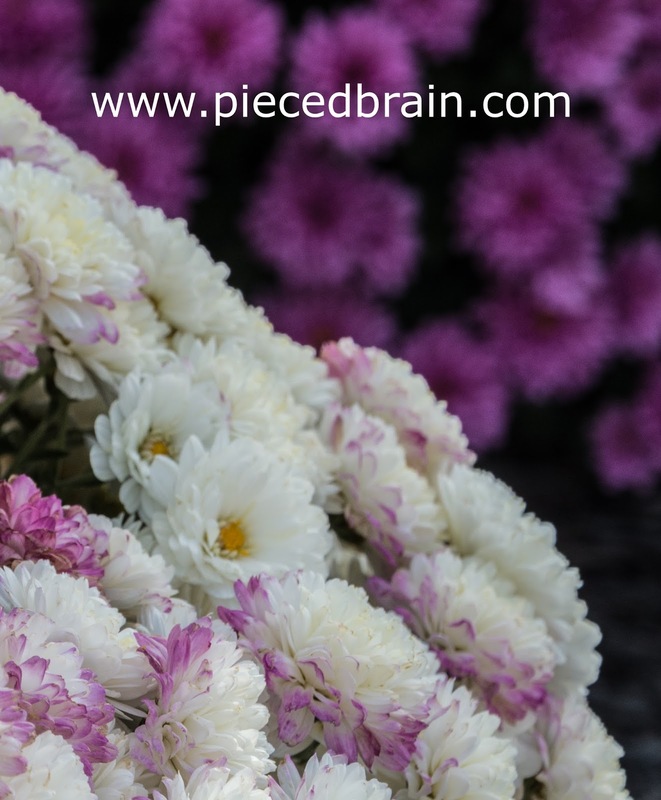 !Tudo bem com vc e família?Não consegui ler este post por conta do google não traduziu,mas adorei.Beijos! That's a beauty - lucky sister!